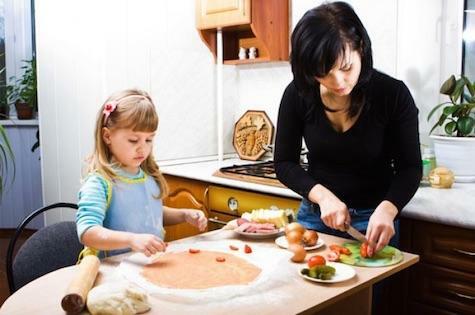 The world can never have too many 'foodies' so help your child grow-up to be one with these seven helpful tips from Zoe. Ensuring your baby and toddler are getting the correct foundation of food in their first twelve months, and beyond, gives them the best start on life’s food journey. A positive food path from day one is so important not just from the quality and variety of ingredients and meal combinations but also the range of textures to suit different stages of development. Here are seven of my tips to help you and our child enjoy the journey together - however messy - and your child grows-up to be a 'foodie'. It’s important to plan meals to ensure your ‘little foodie’ is getting a good nutritional balance. Days can quickly become hectic and unpredictable so a little planning in terms of what snacks to take when out and about can make any day less stressful. If not it can become very easy to grab your little one a food option from a coffee shop or local deli that is perhaps not the best nutritionally. This can then start a cycle of eating outside of ideal ‘meal times’ disrupting the all-important routines. Fruit is a popular option with most babies and toddlers (and adults!) but it is important not to forget to introduce vegetables just as frequently and also meat based options. Variety is the spice of life so they say and ideal if you can get young palates accustomed to being adventurous early on. Preparing such small quantities of some meat based dishes or combinations can be time consuming and challenging which is when Rafferty’s Garden meat based range is especially helpful, added to pasta or rice for toddlers or simply on its own for younger ones. Purees, mash, lumps – all are important and all should be introduced at key development milestones to get babies and toddlers to learn to move from sucking to chewing and ultimately using a spoon. The Rafferty’s Garden range introduces textures as babies grow and is important to ensure that their eating capabilities keep advancing. It is useful to always have a spoon or two at the ready for toddlers to enjoy food pouches, on the go or at home, so the spoon becomes familiar. There is nothing worse than feeling daunted or bored by having to make the next meal for your little one. Remember it is a wonderful adventure for them and you don’t need to make it hard for yourself. Many of Rafferty’s Garden fruit products can be enjoyed added to yoghurt or as a topping on a pancake or pikelet or why not make some savoury options. It is very easy to feed a crying or demanding bub when it wants food! Try to bring a little structure around meal occasions, to not only make it easier for your day and being able to get tasks done but also to instill the understanding of meal occasions such as breakfast, lunch, dinner, deserts and snacks. Remember, it is also advised that little ones do not graze as constant snacking can have detrimental implications not just from a weight point of view but snacking is also linked to causing tooth decay as well as affecting the way we metabolise food. 6. Make ‘everyday food’ the treat! It’s important to develop a love of fresh food over instilling ‘not everyday food’ as the special occasion. If children don’t have an association that a lollie or cake is special treat then they will welcome eating fruit and vegetable and combinations of both just as much. We often instill our own eating preferences without realising the influence we have as role models…until we hear it imitated! As with all new experiences, it could take time for your ‘little foodies’ to enjoy trying new foods, textures and tastes. Patience and persistence will pay off. Get excited about food and remember when a new taste, fruit, vegetable or your favourite dish is rejected, introduce it again and again and again, you’ll be surprised how persistence can pay off.